Next Weekend: WICKED! Grant bought me tickets for Christmas to see the musical WICKED in Houston! I am beyond thrilled. I already have the soundtrack memorized. Also, Easter is that weekend so I get to spend Easter at my home church. YAY! The Weekend after that: GIRLS WEEKED 07! And I realize I misspelled Weekend. It's GIRLS WEEKED!! 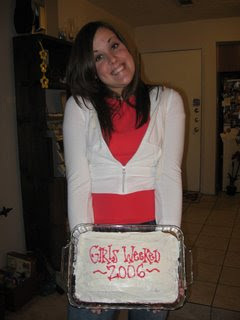 (At last years girls weeked 06, my dear Lindsee made a cake to commemorate the event, and wrote "GIRLS WEEKED" on the cake. I think I almost wet my pants when she presented it so proudly! Isn't she just precious?? 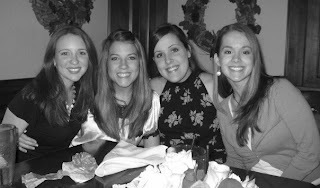 :) So Girls Weeked 07 is upon us, and the gals are coming up to Baton Rouge to see me! I am just beyond myself with excitement. Next year, (Girls Weeked 08) is in Montana!! HOLLA! Also, in May I get to have a little vacation. Grant's parents are treating us as well as Chase and Ronda- my new brother and sister-in-law, to DISNEY WORLD!! I haven't been since high school and I can't wait to go ride all the rides. We are only going for 3 days but I am very happy about having a little break in my work week! Okay, I have to officially make a blog about Macaroni and Cheese. I love it so much. I try to stop eating it. I tell myself sometimes, "you're an adult". I want to eat healthier. But there is something about it. Everytime I'm hungry, it's the first thing I think of that I want to eat. I have to convince myself to make something else. I never get tired of it. I always want it. Grant always asks me if I can ever get sick of it. The answer is no. Absolutely not. My very favorite is Kraft. Specifically spirals. But I can also eat Velveeta Shells & Cheese. You know what? I think I'm going to get to the point where I will no longer be ashamed of my intense love for this food. At Chili's, they have Kraft Mac & Cheese on the kids menu. I'm always a little dissapointed that it's not on the real menu. 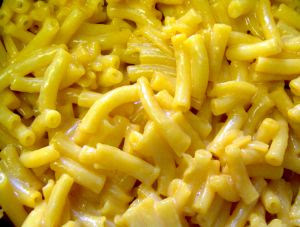 Can't an adult love Kraft Macaroni and Cheese?? I love it for lunch. I love it for dinner. I love it for a midnight snack. I always want it. I could live off of it. Variety in my diet? Not so much. Don't care. I love it! This is to keep ya'll updated on my Louisiana Life. 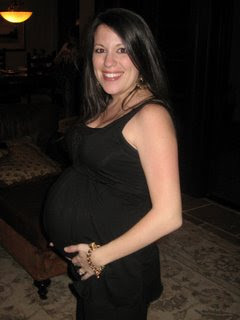 I'm living in Baton Rouge, working as a legal secretary and loving life with my handsome husband. And my cutie dog. But I miss my Cypress, Texas. I miss my family, my friends. I miss it all. These are my friends. Joanna, Lindsee and Sally. They are coming to visit me in April. I am positively giddy! 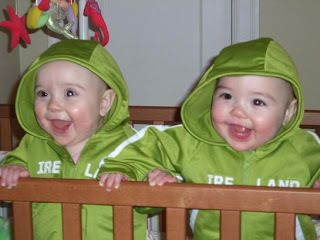 These are my twin nieces. Scarlett and Juliet. I really miss them. They are getting so big! This is my cute puppy, Moxie. 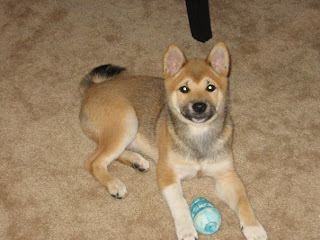 He is a Shiba Inu. I got home from work today and cleaned my house. I am going to make dinner here in a bit. Grant is getting home pretty late tonight.... blah. But that's okay. I get to watch Oprah, which I Tivo'd. Have ya'll gotten Tivo yet? You need to. I need to send it's inventor a thank you note.